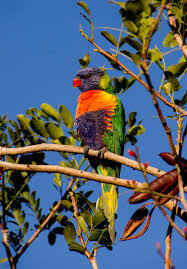 The rainbow lorikeet are native to Australia and eastern Indonesia. 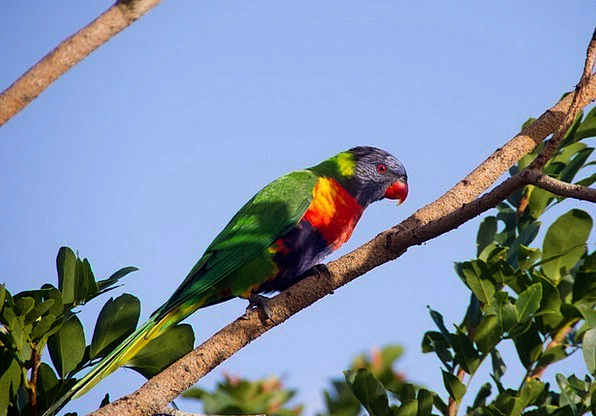 The rainbow lory, also called the rainbow lorikeet, comprises at least 22 subspecies and is one of the most stunning and beautiful companion birds available today. Lories, in general. They need more care and attention than your more common companion birds due to their highly specific dietary and housing requirements. However, they are well worth the extra time and expense. The rainbow lory, about 12 inches in length, is aptly named, its feathers graced with all shades of the rainbow, each subspecies possessing more or less of a particular plumage color, enabling experts to tell them apart, though there is no visible difference between the sexes. Rainbow lories are hard to miss, with their bright reds and greens, vibrant blues and violets, and splotches of lemon-yellow flowing into intense oranges. Their dramatic appearance and wonderful temperament make them a popular companion among fanciers. The red lory is the most commonly kept lory in captivity. This bird’s playful personality and its beautiful appearance make the red lory a favourite among fanciers and the more advanced novice alike. The red lory makes an excellent pet for the person who is willing to take time to deal with the very special needs exclusive to this family. Lories need much more attention and care than most companion birds. They need a dutiful owner that is attentive to all of their daily requirements. The red lory is primarily a deep, pomegranate-red, with blue markings on its wings and face. They range in size from 10 to 12 inches and have an orange beak. The most remarkable feature about a lory is its tongue. The tongue looks like a little brush, and is used to remove the pollen and nectar from flowers, the lory’s favourite natural food. Lories consume a mostly liquid diet. This means that they have mainly liquid poop, which they love to shoot great distances. Lories are high-energy birds that need a roomy cage as well as plenty of out-of-cage playtime. This bird is for the more advanced bird keeper, and would do well in a one-bird household. Lories have a very specific fruit and nectar based diet. They will crack some seed, but should not have too much because seed is not natural to their wild diet, which consists mainly of flowers, nectar, pollen and insects. You can feed them mealworms, which are usually available at your local pet shop. Because of this specific diet, mainly commercial lory nectar and fruit. 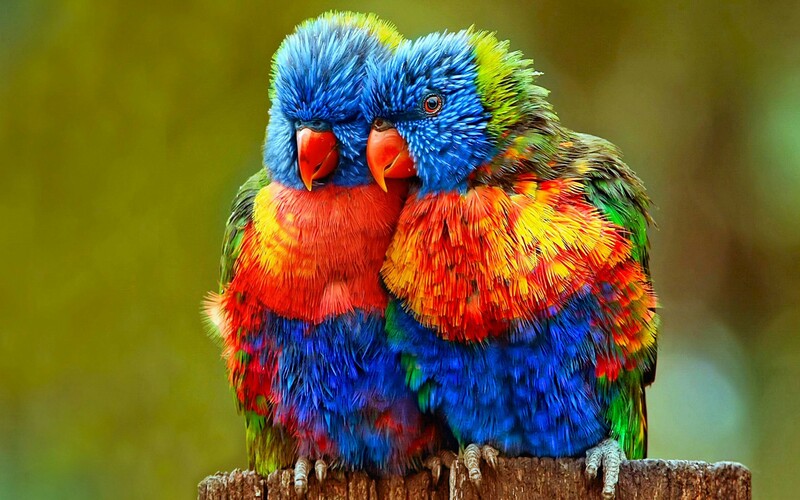 Both of which spoil quickly, it is easy for a lory with an inattentive owner to fall ill from malnutrition or worse. Red lories can live for more than 30 years if cared-for properly. The lory personality is intense, in general. This is not a shy species. The rainbow lory is bubbly and enthusiastic, the “coach” of the bird world. Encouraging play whenever its favourite human is around. These birds are constantly busy and lively, allowing little time for rest. Their antics are extremely entertaining for most people, but they can become a little much for someone that’s used to a more laid-back companion. Playtime is crucial for the lory, and the rainbow lory will relish time out of the cage to spend with its guardian. This need should be indulged as often as possible. 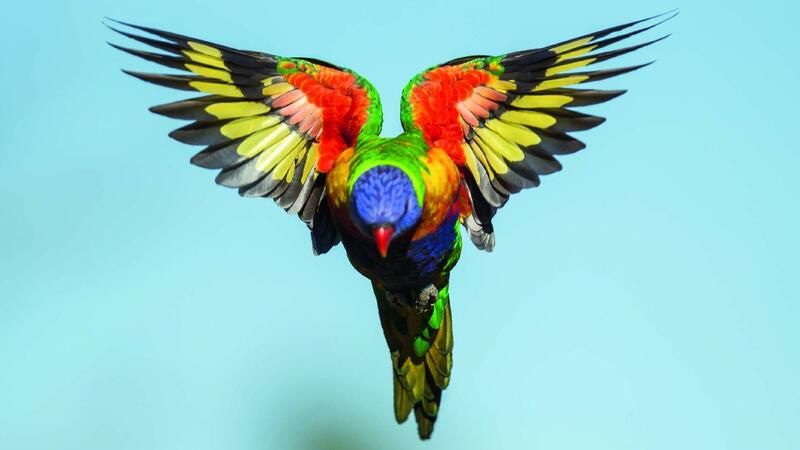 A rainbow lory that’s left alone too often will develop behaviour disorders and may begin to self-mutilate. Warn new guardians to be watchful when the bird is out of the cage. However, because this active bird tends to be mischievous and destructive. They will get into trouble quicker than someone can save it from harm. Because this bird is so excitable and intelligent, it is also often nippy. They will generally bite only out of excitement or fear.